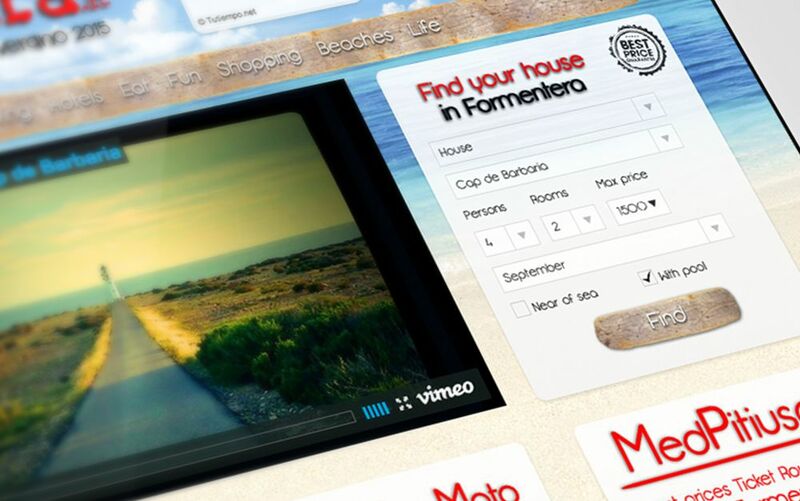 Formentera.it required a website to show and gather information about local events, restaurants, house rental and beaches of the island. We have made web design and custom CMS. Database of houses in Formentera with the possibility of filtering the search by zone, people, rooms, price, proximity to the sea, etc. Each property includes details such as, photos, interactive map and information request form. 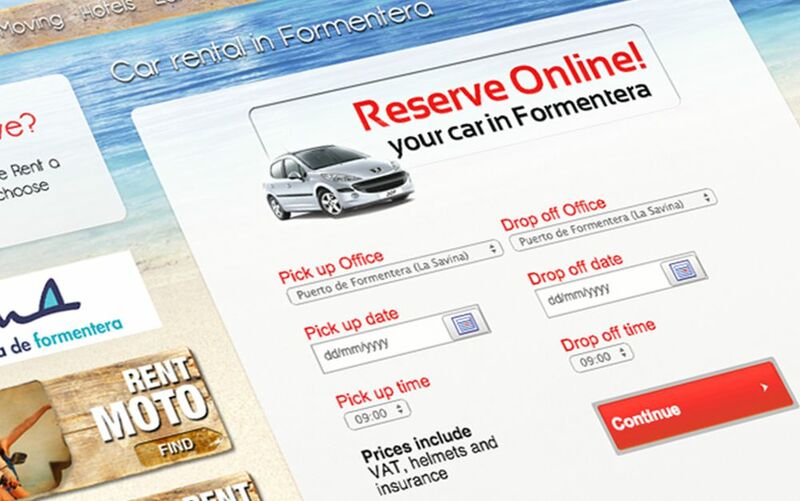 Formentera’s website is connected to the main rental car on the island that allows users to check availability and pay online. Discover more works of tourism, real estate or Search engine.